In the design of no-sway frame structures, reinforced concrete shear walls are frequently used to resist horizontal loads and seismic activity. These elements usually have a functional purpose which can be in the form of shafts for service cores, facade elements, containment for vertical transportation and other uses. 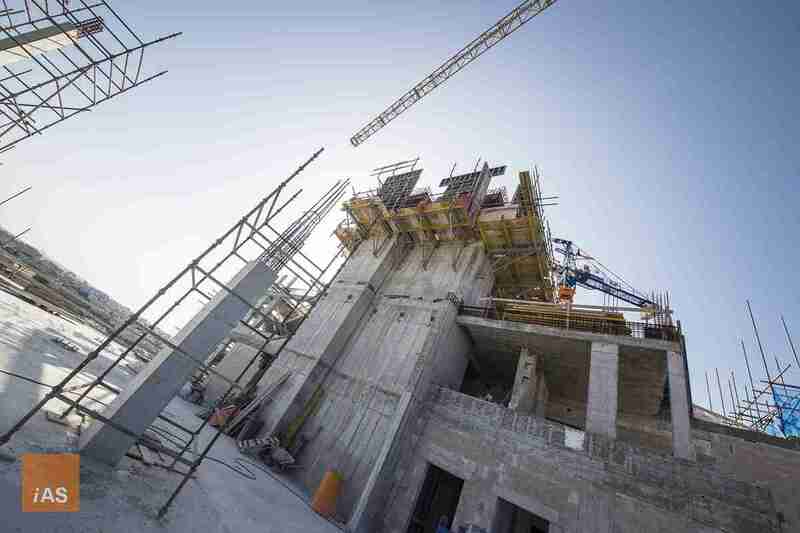 At the initial stages of design, the architect should aim to keep the position of a shear wall or group of walls symmetrical along the building axes to avoid excessive torsional forces. From the overall building analysis, a combination of lateral, vertical and torsional forces is then transferred the shear walls or cores in order to start with the element design. Sheet 4: Stresses are computed from first principles using standard design equations. In a properly organised spreadsheet, changes in design will involve re-computation of loadings and changes in the dimensions of wall elements. All possible configurations can be analysed using this system. 1. Finite Element Analysis – This is most accurate system of all where the structure can be modeled loaded and analysed using computer analysis packages. Values for all stresses and strains are automatically calculated. 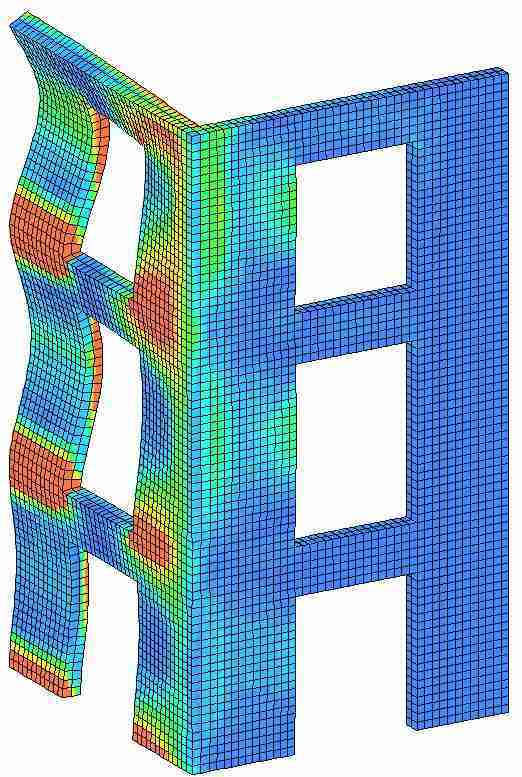 Design iterations for structural optimization will require re-modelling of the structure. The design tools available today give a competitive advantage both in terms of value engineering, design time and presentation. In my opinion, the use of spreadsheets can be less time consuming and more adequate to use in the initial design stages and for estimate purposes. On the other hand, FEA solutions render a more precise output which is more realistic, efficient and economical that is preferable for use in the execution stage of a project.